Noida, February 11: "A ‘Blue Flame Revolution’ is under-way. LPG coverage has reached more than 90% per cent, from 55% five years ago. We need to move to responsible pricing, which balances the interests of both the producer and consumer. 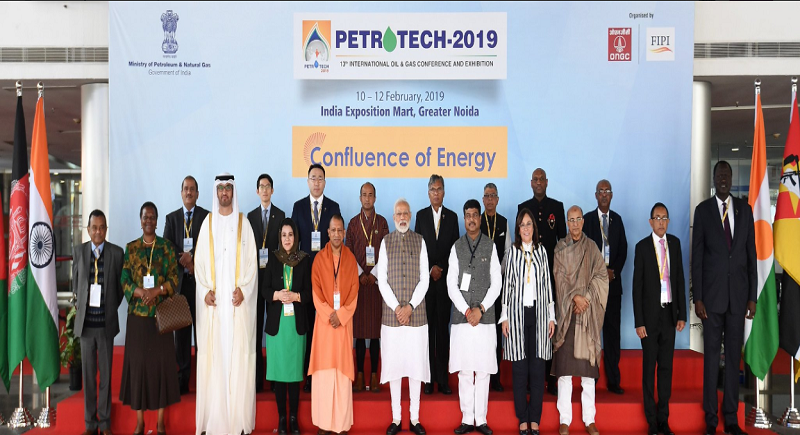 We also need to move towards transparent and flexible markets for both oil and gas.” Said, Prime Minister Narendra Modi, while addressing a gathering for Petrotech2019. He reiterated that India has a multipronged approach towards energy requirements. Energy access, energy sustainability, efficiency and energy security are an important part of the future. Dr Sultan Al Jaber, ADNOC Grp CEO was present on the occasion. He is a Minister of State United Arab Emirates. As he confers the Petrotech2019 Lifetime Achievement Award in the international category. For his landscape work in the energy sector with the use of modern technology. “ India’s growing demand for energy is unprecedentedly driven by a middle class to grow 10 fold over the next decade. 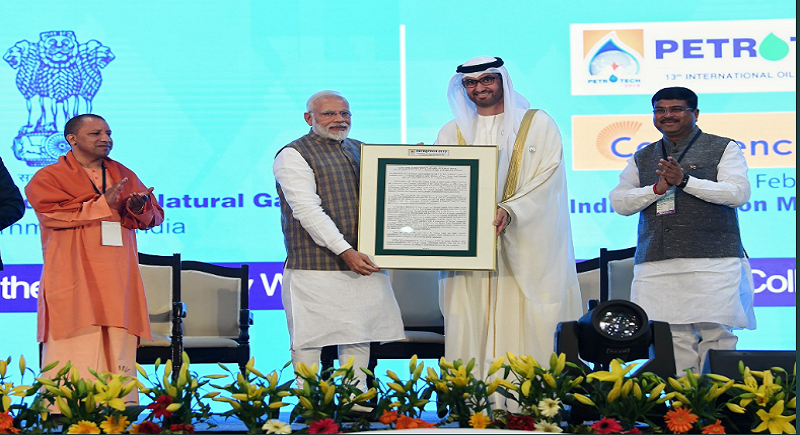 India and UAE strategic partnership to reinforce our energy cooperation, making India not simply a valued customer but in fact a very important strategic partner to the United Arab Emirates” said Dr Sultan while addressing the conference. 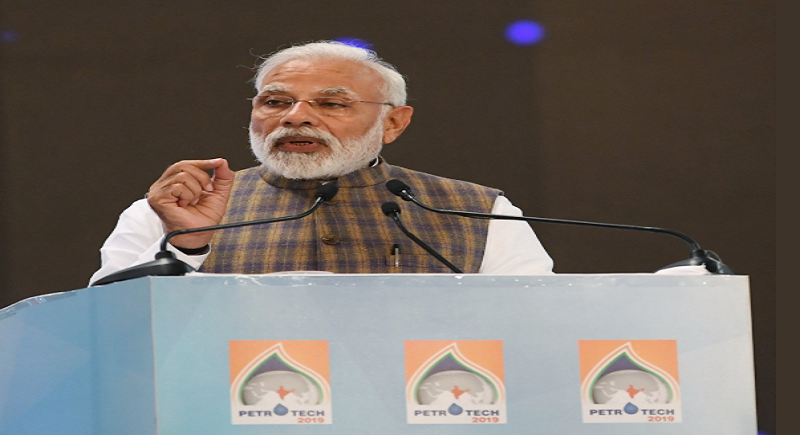 PM says this is the 13th edition of India’s flagship Hydrocarbon conference. Over the last quarter century, petrotech has served as a platform to discuss solutions, to challenges that we face in the energy sector. In each of our respective countries, we seek to deliver affordable, efficient, clean and pure energy supply to our citizens. The pageants of our 60 countries and 7000 delegates is a reflection of that common quest. Energy is a key driver of socio-economic growth. We are entering an era of greater energy availability but more than a billion people across the globe still do not have access to electricity. Many more do not have access to clean cooking fuel. India has taken a lead in addressing these issues of energy access. India’s contribution to the onset of era based energy justice is significant. Currently, India is the fastest growing economy in the world. In an uncertain global economic environment, India has shown tremendous resilience in an anchor of the world economy. India became the 6th largest economy in the world. Referring to reports PM says by 2030 India will become the 2nd largest economy in the world. We are the 3rd largest energy consumer in the world. With demands growing at 5% annually. We have adopted an integrated approach to energy planning. While elaborating about the scheme Saubhagya He said, We have the plan to provide 100% electrification in a household in India this year. Winds of change are evident in the global energy arena. Energy supply, energy sources & energy consumption patterns are changing. Perhaps, this could be a historic transition. There is a shift in energy consumption from West to East said PM. Energy justice is also a key objective for me and a top priority for India. Towards this end, we have developed and implemented many policies. The results of these efforts are now evident. Electricity has reached all our rural areas. LPG connections have been given to over 64 million households in just under three years under the Ujjwala Scheme. Only then can we serve the energy needs of humanity in an optimal manner. India’s ease of Electricity World Bank ranking improved from 111 in 2014 to 29 in 2018. Blue flame revolution is underway. LED bulbs distributed across the country under the UJALA scheme, have resulted in an annual saving of seventeen thousand crore rupees, or nearly 2.5 billion dollars. Gas pricing reforms have also been introduced. The Enhanced Oil Recovery Policy aims to promote the use of the latest technology in improving the productivity of upstream fields. Execution of three thousand, two hundred kilometres of gas pipeline in Eastern India has begun. This will connect North East India with the National Gas Grid. The tenth bid round for City Gas Distribution will be complete in a month’s time. This will cover over four hundred districts. It will extend coverage of City Gas Distribution to seventy per cent of our population. In recent years, we have deepened our international engagement with organizations such as the International Energy Agency, and OPEC. We chaired the International Energy Forum from 2016 to 2018. Another key issue that needs the world to come together is climate change. Together, we can achieve the targets we set for ourselves at COP-21 in Paris.